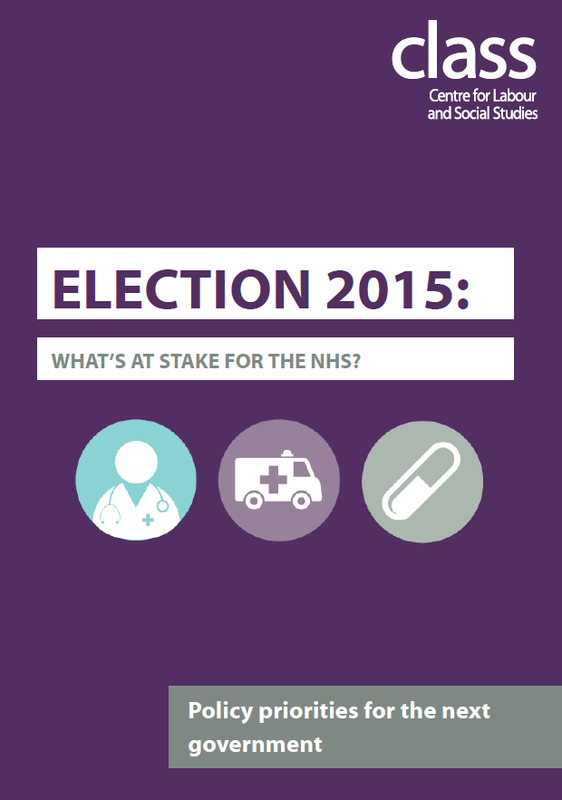 Election 2015: What’s at stake for the NHS? As part of our election programme Class are publishing a series of election guides that seek to highlight what is at stake for working people on a range of policy issues. All guides have the same structure – an outline of the current problems, policies that could tackle them, what the parties are offering voters, and an analysis of what’s at stake at the General Election. What's at stake for the NHS? This guide covers the current challenges facing the NHS: increased pressure, plunging staff morale and impending funding crises, and how privatisation and marketisation has fundamentally damaged standards in healthcare. This pamphlet outlines how pressures could be lessened by eliminating costly competition processes. By repealing the Health and Social Care Act, integrating social care and boosting the wages of NHS staff the service will be able to begin to turn around the damage inflicted by top-down reorganisation. To read all the information in brief, simply download our short policy priorities factsheet. Work areas: Welfare State, Health. Tags: austerity, infrastructure, investment, nhs, privatisation, regulation, social state, universalism, welfare, workers rights.